Get to know our unique, step-by-step approach that makes thinking about, planning for and executing organizing projects a breeze. The systems work for any project, all personalities and ages. The power in our systems is handling only one question or one decision at a time. Overwhelm comes from trying to do all the steps together. It is too much for our bodies and our brains. By taking the steps in order, you will save stress, time, energy and money. We use these systems in our every-day lives and you can too. How can I live with less? Check out the iRAFT® System Page for a video and in-depth tutorial. 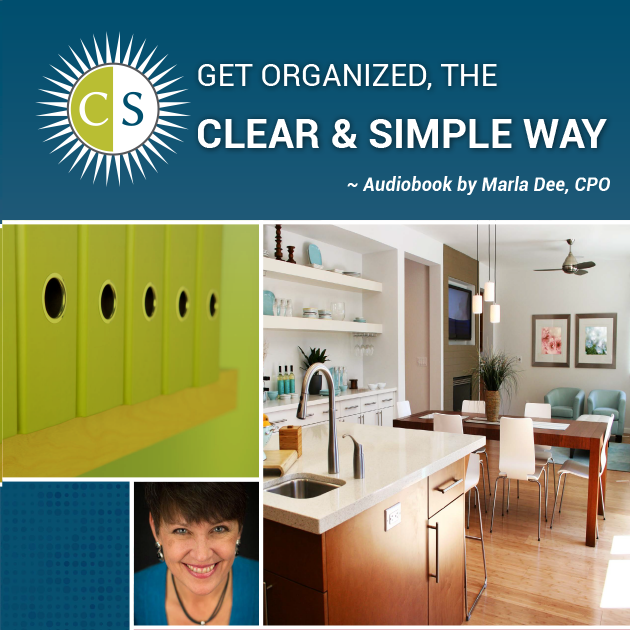 Thousands of professional organizers have been trained by Marla Dee, Founder of Clear & Simple. Now you can bring this seasoned expert’s skills into your home for less than the cost of a consultation! Restore freedom, order, and clarity to your home, your office, and your life. Follow the unique Clear & Simple Way and find that organizing can be fun and easy. SEE IT. MAP IT. DO IT ©, S.T.A.C.K.S. © & iRAFT© are copyrighted by Clear & Simple, LLC. All rights reserved.